I am sick and tired of posting pictures of moose, so I can't imagine how you must feel having to look at yet another photo of a skinny-legged twig eater. But, c'mon! This guy literally flopped down outside our family room window. He was RIGHT THERE. I didn't even have to get out of my chair. He actually looks kinda friendly! Like he could be a pet or something...as if, right? 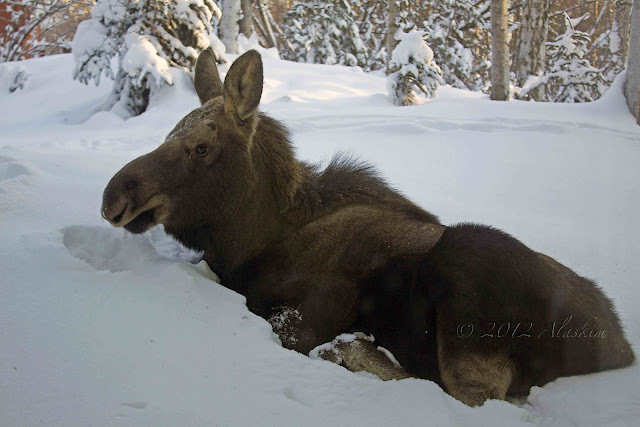 You know I always love the moose pics :) He looks so comfy, like he was just waiting for you to bring him out a plate of egg rolls! 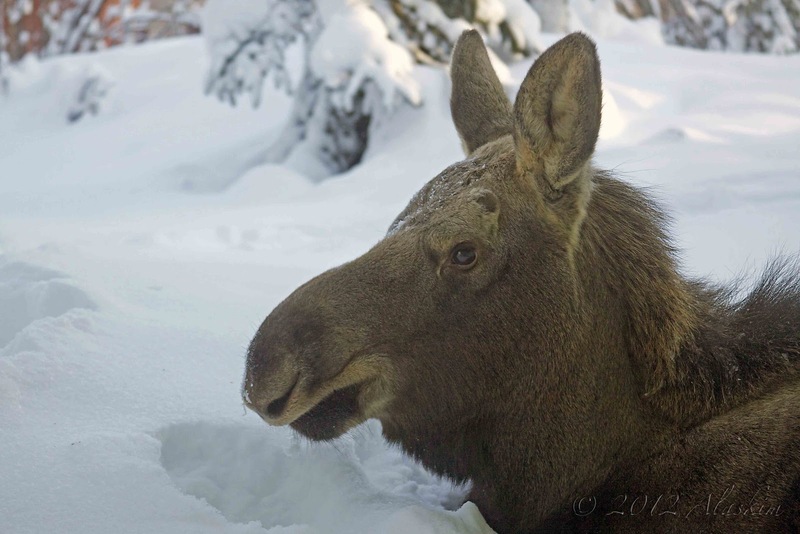 I always enjoy the Moose pics! Nope. I never tire of looking at the twig-eaters. Wow! That is super close. I love your moose pictures! Thanks for stopping by! Spain is on my list of places to visit before I die!